There are 9 Memory Care Facilities in the Boise area, with 6 in Boise and 3 nearby. The average cost of memory care in Boise is $4,805 per month. This is higher than the national median of $4,650. Cheaper nearby regions include Meridian with an average starting cost of $3,550. To help you with your search, browse the 8 reviews below for memory care facilities in Boise. On average, consumers rate memory care in Boise 4.5 out of 5 stars. Better rated regions include Meridian with an average rating of 5.0 out of 5 stars. Caring.com has helped thousands of families find high-quality senior care. To speak with one of our Family Advisors about memory care options and costs in Boise, call (855) 863-8283. Boise is named for the woods that surround this quaint capital city in the heart of Treasure Valley. Seniors of all levels of health, including those living with Alzheimer's disease and dementia, may enjoy a daily stroll through Boise's parks and trails, provided they have an attendant to accompany them. According to the U.S. Census Bureau, the city of Boise itself is home to 226,000 people, 12.7 percent of whom are seniors over the age of 65. The Boise-Nampa greater metro area has three times as many people and at least 11 licensed memory care facilities for seniors and their loved ones to choose from. 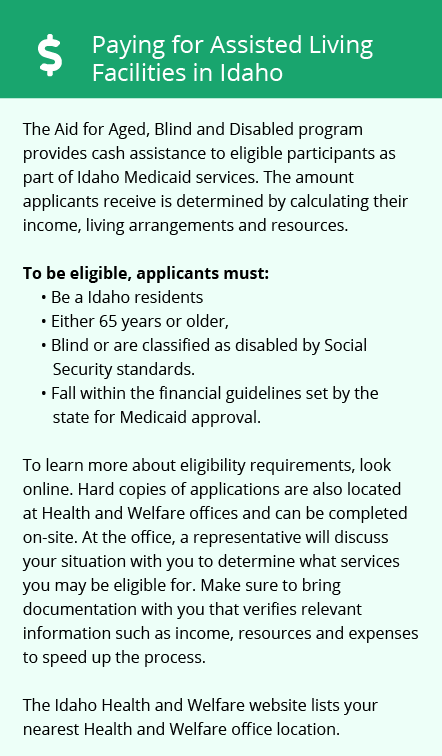 In Idaho, memory care standards are regulated by the Idaho Department of Health and Welfare, which not only inspects facilities for health and safety but also takes comments and concerns from the public as part of its efforts to ensure high-quality care at all of the state's facilities. Boise is just deep enough into the Great Basin region in the north that odd weather patterns sometimes blow through the area. Summer highs in the Boise region rise to a potentially uncomfortable high of 91 degrees Fahrenheit in July and August, while overnight winter lows often plunge to a frigid 25 degrees. Hot summers and cold winters can be problematic for seniors with a low tolerance for extremes, though Boise gets just 12 inches of rain and 19 inches of snow in a year. Boise is relatively affordable by national standards. Cost of living in Idaho's capital is roughly 8 percent lower than the average cost of living nationwide. Though prices overall are low, health care and transportation are 3 and 7 percent over the national rates, respectively. As you would expect for the largest city in a law-abiding state, Boise's crime rates are somewhat higher than is the norm for Idaho at large. Violent and property crimes are not excessive by national standards, with murder rates here 40 percent lower than the American average and both theft and vandalism similarly unremarkable. Boise is home to world-class medical facilities, including those specializing in brain health and dementia care such as St. Luke's Boise Medical Center and Saint Alphonsus Regional Medical Center, in the event of medical emergencies or illness. Memory Care costs in Boise start around $4,805 per month on average, while the nationwide average cost of memory care is $4,798 per month. It’s important to note that memory care rates in Boise and the surrounding suburbs can vary widely based on factors such as location, the level of care needed, apartment size and the types of amenities offered at each community. To see a list of free memory care resources in Boise, please visit our Assisted Living in Idaho page. 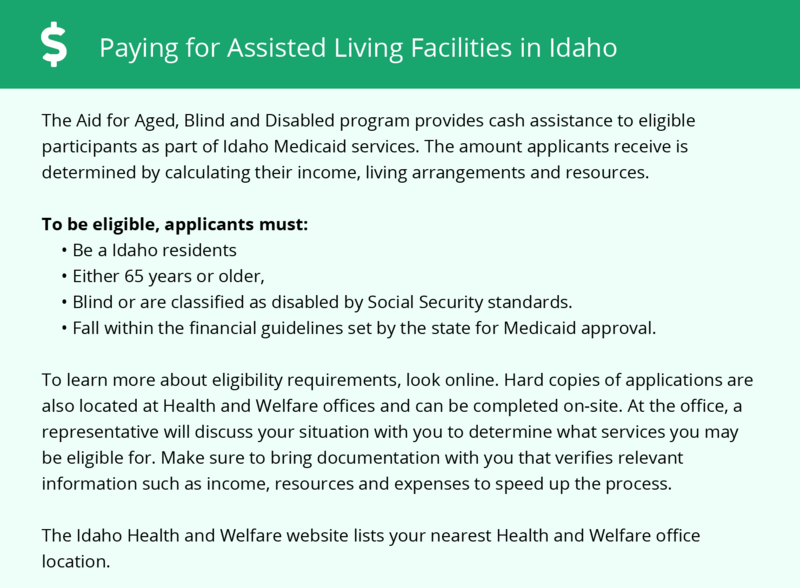 Boise-area assisted living communities must adhere to the comprehensive set of state laws and regulations that all assisted living communities in Idaho are required to follow. Visit our Memory Care in Idaho page for more information about these laws.